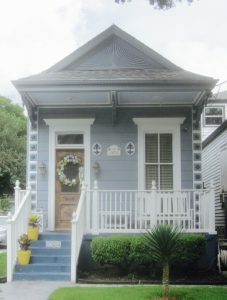 -One reason that tiny dwellings have become so popular is the tiny price tag that goes along with them. People are attracted to the idea of building or buying a home and not having a monthly payment. 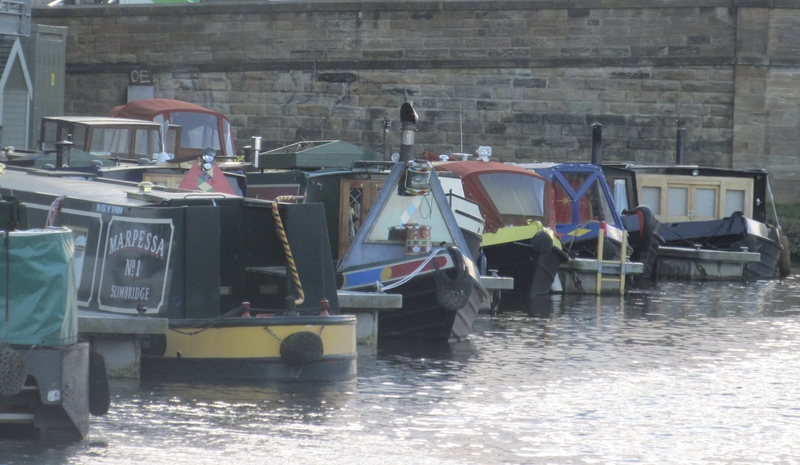 Though many alternative dwellings such as narrowboats, tiny houses and studio flats come at a greatly reduced price compared to larger structures, they still may require some sort of financing. Few individuals or families have 20,000 to 50,000 GBP in the bank account for immediate use. After doing some research, here are some quick facts that may serve as a starting point for launching your small space lifestyle. Read all of them, even if you are not interested in that particular type of dwelling, as there is helpful financial advice from lending institutions in each one. Surprisingly, the option which might seem the most unconventional, may also be the option that is the easiest to get financing to purchase. 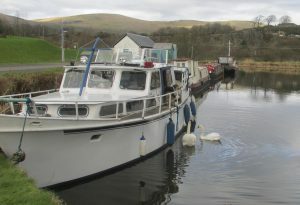 There are still many requirements to be met with regards to the boat itself and your credit record, and it’s certainly worth checking into them before beginning any search of available boats. One important factor that can tip the scales in your favour, is having a down payment – the larger, the better obviously. It seems that 10% is a recommended amount. A savings of this amount will show the financing institution that you have the ability and self-discipline to save money and that you are responsible with your financial dealings. It will also lower your monthly payment throughout the life of the loan – an advantage you will thank yourself for later. 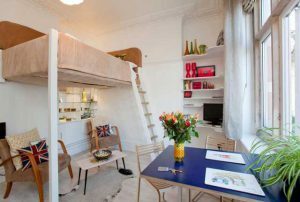 The advantage to buying a micro flat may be that it is a built structure, and if no renovations are required, then you will likely not have to deal with planning permissions. However, be very careful of property conversions, such as a garage that has been made into a studio flat, or a former office space that is now a dwelling place. When purchasing these unconventional structures, you will be required to comply with all building standards and the necessary certificates will need to be on file to show that all modifications made by the previous owners have met the legal requirements. There may be other more detailed requirements, such as a minimum of 10.2 sq.m, if two people are to live in the flat. In the case of small studio flats, a solicitor or other finance professional can make a great addition to your team, in order to ensure that the home you’ve selected is your sanctuary, and not a source of stress. They’re trained to deal with all the ins and outs of property law. If your structure is illegal in some form or fashion, obviously you will not be able to get a loan for it, and may not even be able to reside there. With financing, there is often a minimum square metre requirement imposed (usually 30 sq.m) before money will be lent. Some financiers which I have been informed are willing to lend money on dwellings smaller than this are Santander, Nationwide and Woolwich. Again, a huge help in securing your loan will be a healthy down payment to apply to the purchase on the front end. Though a tiny home on wheels may be a bit easier to obtain planning permission for, it may actually make it more difficult to secure a loan. When it comes to financing your tiny house, you have to think like a bank. The bank’s main concern is that if you default on the loan, they are able to sell the house to recoup at least some of their losses. Although the notion is becoming more popular every day, not everyone wants to live in a tiny house. When you put the home on wheels without conventional plumbing, you subdivide that category even more. This may make it difficult for a bank to find a qualified buyer for the home. The good news is that I am assured by a solicitor with over 15 years of experience in property law that there are no special restrictions when writing a loan for a tiny house. The main consideration is that the tiny house is saleable, and also, of course – legal. The key is in starting with your local planning commission, before purchasing any land, or engaging an architect or builder. The house plan must be finalised in every detail before presenting to your local authorities. Once permission is received, then everything will go much smoother. You should never try to “fly below the radar” and hope that your neighbours will not notice that there is a new house down the street. This will prevent you from getting a loan, and is possibly a quick way to find yourself homeless. Once permission to build is received, conventional financing may not be readily available. There are a few options however. A personal loan may be able to be obtained, particularly if you have something else of value to offer as collateral, such as a car. Though credit cards are certainly a much higher interest rate, the money you save by living in a smaller home may be enough to offset the cost of the additional interest payments. There are also some builders who offer their own financing for homeowners and may be more apt to work with you, since they want to sell you the house in the first place. One key element in achieving home ownership is money. If you do not have the savings to pursue your dream right now, maybe you will take some steps to ensure that you will in the near future. Could you possibly move into a smaller flat now in order to to save money each month? Perhaps there is a job that you can do at the weekend occasionally for some extra money that could go towards your savings. Do you have a talent for needlework, sewing, painting, photography, writing or even baking? If you can put these talents to work for you – they may earn the extra money you need for a down payment on your future. Perseverance and determination are usually always in order when it comes to pursuing any dream in life. And if you truly desire it, you will achieve it.